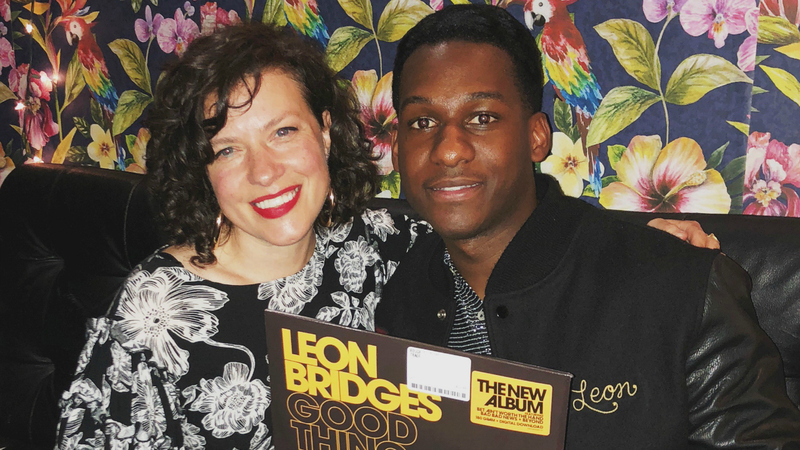 The moment we heard Leon Bridges sing, we knew he was a star. And indeed, since we last caught up with Bridges back in 2015 when he visited Studio A, his debut, Coming Home, became a major hit, scoring two Grammy nominations. The style of the album — with its warm, retro-Sixties-soul production — earned him many comparisons to the great Sam Cooke, and while this Fort Worth, Texas native could have easily coasted along on the success of Coming Home and that sound, Bridges chose a different path. Just days after releasing his new album, Good Thing, and hours before showcasing his change of sound for a lucky, sold-out crowd at Rough Trade NYC in Brooklyn, I sat down with Bridges backstage. We spoke about his new direction, finding the courage to break with expectations to use his most authentic voice, and also about some of the music that influenced him. Not only did he choose some tunes to play during the interview as Guest DJ picks (including the Whispers and Willie Nelson), but we also asked Bridges for his favorite songs from each decade, beginning with the Fifties. So enjoy the interview and Bridges' FUV Mixtape Spotify playlist below!